The march – from Jarrow to London – is organised by a group of Mums in the North East outraged by the current destabilising policies in the NHS. The three hundred mile march through 23 towns and cities echoes the determination of marchers in the 1930s who marched to Parliament to demand work. 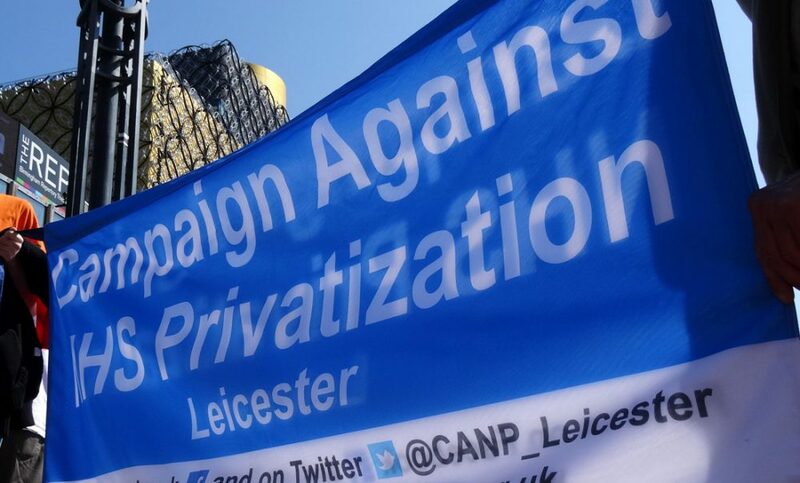 Today’s marchers are demanding that the NHS be protected from privatization and underfunding. Also – Sunday 31st August – marchers will set off from St Martin’s Cathedral 7 Peacock Ln, Leicester LE1 5DE at around 10am. Come to give them a send-off. The welcome, rally, meals and accommodation have been coordinated and co-funded by the Leicester Campaign Against NHS Privatization in collaboration with the GMB, the Labour Group in Leicester City Council, Bishop Street Methodists and the Secular Society as well as a number of generous individuals to whom we are grateful. Here’s the Loughborough to Leicester route on Google Maps for Saturday..